We know more about Mars than we do about the oceans that cover 70% of the Earth’s surface. 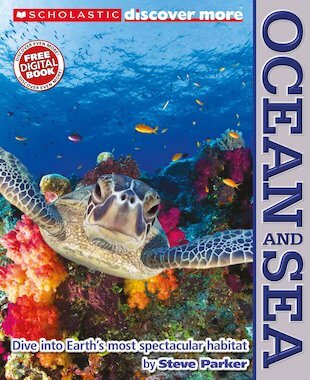 This is a book for anybody who is fascinated by sharks, tsunamis, palm-fringed beaches, coral reefs and super-strange deep sea fish! Come and explore the mysteries of the deep, from icy Antarctic waters to the Great Barrier Reef, in beautiful photographs, incredible statistics and up-to-the-minute data. Marine biologists, conservationists and explorers give you all the insider knowledge on topics from water sports to pirates, ocean legends, sharks, shipwrecks and more. Discover the wild weather, huge abysses and magnificent creatures of our world’s last true wilderness! Includes a FREE digital companion book offering all-new information, pictures and activities.